I am a very experienced and professional Counsellor/Psychotherapist, having been in practice for 20 years. Clients come to see me for many reasons and with a variety of issues, including depression, anxiety, low self-esteem, relationships under strain or breaking down, bereavement, bullying, work related stress and abuse. I see my role as supporting the client in resolving the difficulties which are holding them back from living a positive, fulfilling life. I am trained in EMDR (Eye Movement Desensitisation Reprocessing) which can be used for clients experiencing anxiety, panic attacks, low self esteem and phobias. Session fees are £55 for individuals and a 90 minute EMDR session is £80. If you have any queries, or would like to make an appointment, please give me a call or drop me an email. I will respond to your message promptly. I am a qualified supervisor, offering clinical supervision to both individuals and groups. I work as an Integrative Counsellor and Psychotherapist with 20 years experience and have trained in a number of different modalities including Person Centred, Gestalt, CBT, Psychodynamic, Clarkson's Integrative Five Relationship approach and more recently, EMDR. I have a background in banking and a history of working with a number of charitable organisations, local Government and an Employee Assistance Programme. 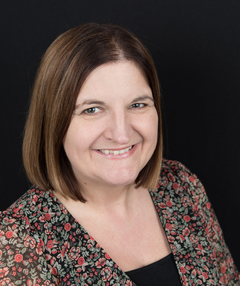 I have worked in private practice for the last ten years, establishing and managing The West Street Centre, a large professional group practice in Fareham. I am very involved in mentoring colleagues who are both setting up and growing their own private practice therapy businesses. I am very passionate about working with trainees and the newly qualified and in supporting all supervisees in reaching their full potential. I completed a Supervision Diploma with Cascade and offer a creative supervision approach to individuals and groups. In 2017, I completed a Professional Doctorate in Counselling & Psychotherapy at the University of Brighton and have a very keen interest in research. I am able to offer academic supervision to Counselling & Psychotherapy students, who might need support or guidance with researching and academic writing, including essays, assignments and dissertations. My fees for supervision are £60 per session.